Medical offices are in the practice of taking good care of their patients. 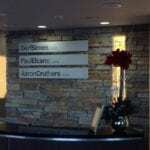 We’re here to help them with interior signs that help patients find their way around the office and exterior signs that help identify their facility from the street. 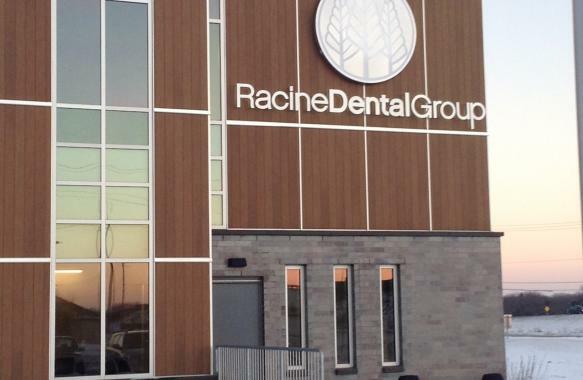 For Racine Dental Group, Sign Effectz collaborated with the designer (Practice Design Group) and architect (Plunkett Raysich Architects) as fabricator and installer of a complete system of interior and exterior signs. Project specifics included providing Campus Identification signage on the exterior property as well as the building to identify the site as clients approach from the nearby road and highway. 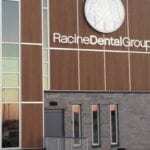 The signage on glass at the entrance provides a warm welcoming feel using the identifiable “Racine Dental Logo” in a soft manner. 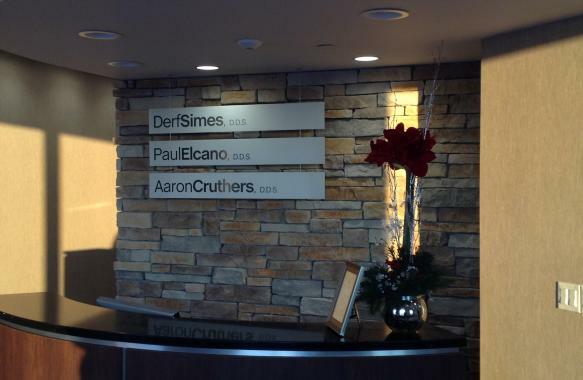 Large yet soft stand-off aluminum letters on interior greet clients as they enter as well as identify areas or “Pods” within building. Signage on this project was intended to clearly identify first the exterior of the site, and then to further identify interior spaces. 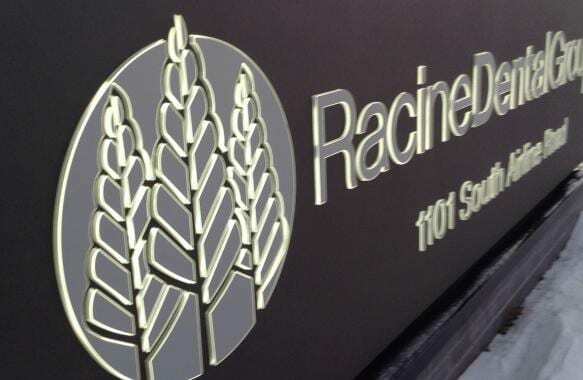 Materials included aluminum on both the exterior and interior sign pieces, push through and back lit (LED) acrylic on the exterior monument sign and a back lit LED exterior wall sign. 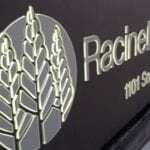 The interior signage and wall signs consist of ¼” and 3/16” anodized/ brushed aluminum.